This piece originally appeared at LobeLog. That site has a wealth of foreign policy analysis, much of which you won’t find elsewhere and which you will find indispensable. Please check it out. whose history is so full of episodes where we were the victims of violence, ethnic cleansing and even genocide. But in recent years, the story of Israel as a Jewish state has been dictated by demographics and questions of apartheid. So when we support Israel, are we protecting a long-besieged minority and a US ally or are we supporting the kinds of discrimination that are anathema to most of the world? Clinton’s words are a rather clear summation of both the US and Israeli approach to the Israeli occupation, at least among those who are desperately clinging to the long-dead Oslo Process. Those words carry some shocking modes of thought; they also demonstrate very clearly why Israel has gotten more intransigent and the United States ever more feckless over the years. Some may argue that Clinton was addressing an Israeli audience and it is important to convince Israel that freeing the Palestinians is in their own interest. Indeed, any pragmatic or even just thoughtful approach to the politics of this conflict needs to incorporate that point. But it cannot stand alone or even be the thrust of the reasoning. As Munayyer points out, this is about rights. Palestinians deserve the same rights, to the fullest, that Israelis enjoy. But the obsession with the Jewish majority reaches chilling heights in Clinton’s words. What difference does it make whether the Palestinians — who are dominated by Israel and have not only no right to vote but whose most basic rights are granted only at the whim of the Israeli government or Civil Administration — are a majority or not? Does it really matter if Palestinians are less than half the population under Israeli control? Would we tolerate that in any other context? By Clinton’s reasoning, slavery in the United States never would have ended, or certainly Jim Crow laws would not have been abolished, as African Americans have never been a majority here. In one way, this is the trap of the apartheid argument, with its inevitable comparisons to South Africa, where a white minority had a democracy for themselves while denying the rights of citizenship to a much larger black majority. But ultimately, it was not the demographics that undermined the Apartheid regime in South Africa; it was the more basic principles of justice. Constitutions in democratic societies routinely have provisions or amendments to prevent a “tyranny of the majority.” This is to ensure that all citizens who live under the roof of the government have equal rights. If Israel wants to be an exception to that rule, it may be able to do so for some time longer. But, aside from the political pressure applied by Israel’s lobby in the United States, why should the United States support such a regime? Supporting that system has nothing to do with either Israeli security or US geo-political interests. Of course, we have long supported many dictatorships, but never with the loving embrace, passion and massive devotion of resources that we devote to Israel. It is only through the ignorance, or willful blindness, of most US citizens and leaders that the sort of thinking Clinton reflected could possibly take root. As Munayyer said, “Palestinian rights are reduced to an Israeli prerogative.” This sort of thinking is reflected throughout US discourse on the subject, including those who oppose Benjamin Netanyahu’s intransigence, as Clinton does. Some would argue that the occupation is an outgrowth of Israel’s security situation, but that Palestinian citizens of Israel, while perhaps facing some discrimination, have full legal rights and Israelis are simply battling the same issues of bigotry that we see in the US and Europe. Current events, however, expose the falsity of that argument. On Tuesday, the Knesset passed a first reading of a bill that would, if it eventually becomes law, summarily evict tens of thousands of Israeli Bedouin from their homes and lands. The Bedouin in the Negev desert live in villages, many which are classified as “unrecognized” and therefore have few or no basic services, such as plumbing, electricity and sanitation. They have lived on these lands for generations, most pre-dating Israel’s existence. Let me be clear: these are Israeli citizens, and they are being stripped of what little they have so that their government can use their land. One concurrent plan is for new Jewish communities to be built in some measure on the lands the Bedouin would be evicted from. 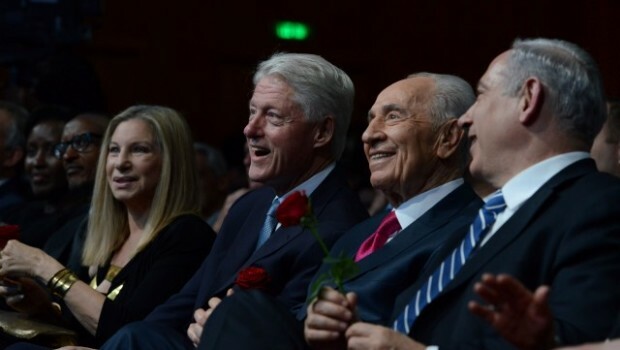 Apparently, for Bill Clinton, since these Bedouin and Palestinians living under occupation do not yet constitute a demographic majority, this sort of treatment, while perhaps distasteful, is something the US can live with. It’s long past time that the rest of us in the United States, and Europe as well, asked if we can also live with our countries supporting this sort of thing. This is not about Israeli military imperatives, Jewish safety, or whether one supports a one- or two-state solution. This is a basic question of universal rights. Can we really live with being complicit in the denial of such rights to millions of people? You said: “But the obsession with the Jewish majority reaches chilling heights in Clinton’s words.” As I read Clinton’s comments, the fact of a Palestinian majority is simply a magnification of the antidemocratic problem, but not the essence of it. That seems to me a very odd and de-contextualized reading. The framing of the question clearly supports the idea that, under the status quo, Israel is credible in calling itself a democracy. In context, one must see this as part of the discourse around two states, which seeks to “preserve Israel’s character as a Jewish and democratic state.” This is often stated quite explicitly across the political spectrum that ranges from Netanyahu to J Street. The point is the focus on demographics. As I’ve argued, Israel can remain a haven for Jews fleeing persecution and as a center of the sort of Jewish culture that Zionism has produced (aside from its political aspects). It can do this, and do so even if Jews are not a numerical majority by simply enacting a constitution. What cannot be tolerated is a state of affairs where Israeli and/or Jewish survival is presented as dependent upon the deprivation and denial of Palestinian rights. Clinton would surely agree with that last sentence in the abstract. And it is legitimate, as I say in the article, to use the argument that it is in Israeli-Jewish interest to end the occupation. But not as the main argument. That is, ultimately, a dead end. Unless the issue is that Palestinians deserve the same rights as Israelis, there can be no resolution to the conflict because that argument, either by itself or as the centerpiece among several, offers no ethical compulsion to end the occupation. And without that, the political obstacles and the basic Israeli-Jewish fear (based in part on fear-mongering, but also on very real history) cannot be overcome.